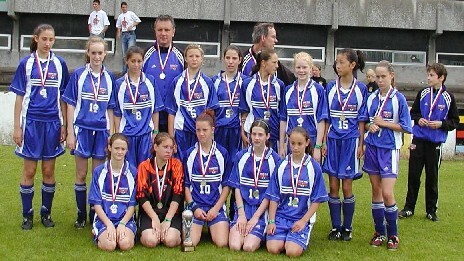 This past July the RTESSE '92 girls were in Europe to compete in two very prestigious soccer tournaments. First up; the Dana Cup in Denmark where the girls were pitted against two Swedish teams and an American Academy All Star squad from Colorado. The US team showed considerable skill and determination but could not keep pace with the Canadian girls who found themselves first place in their group after winning all their round robin games in clinical fashion and without conceding one goal. 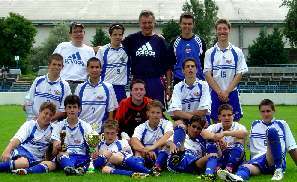 Two Tulis teams, the 1991 & 1992 boys, returned in August to Canada from St. Andrew's, Scotland, and Aberystwyth, Wales with two first place wins, one second place win, and a continued reputation for excellence playing soccer overseas. 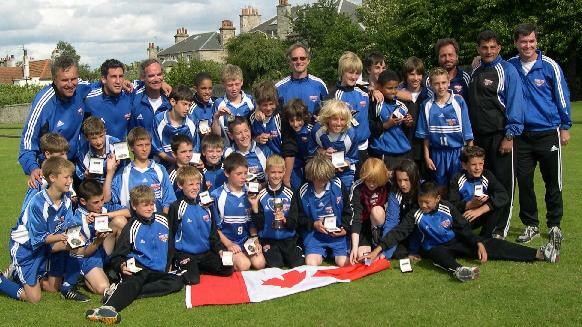 The St. Andrews International Football Festival took place on the grounds of St. Andrews University in Scotland from July 18th - 23, 2004. The tournament drew select teams from around the world as well as select local squads, including Scottish Premier League Dundee United's youth development team. There's nothing like arriving at a tournament sleep deprived and with frayed nerves. But Tulis' U13 girls took this is their stride. After an extremely long and grueling journey - battling flight delays, extended layovers, and only a few hours sleep before their first game - the jet lagged girls came on strong in their first of two European tournaments this past July. Running on pure adrenaline and excitement, the girls did not let a ball get by them for 4 straight games and won their division at the Dana Cup Tournament in Denmark with 24 goals for and 0 against. Their amazing scoreless streak saw them through to the semi-final game in which they held on for yet another shutout. At this point, the girls forgot all about their weariness and were pumped and ready for their final game. Their opponents were a very strong team from the USA and after an extremely hard fought two way battle; the Tulis girls came away with a 1:0 loss and brought home the tournament's silver cup. 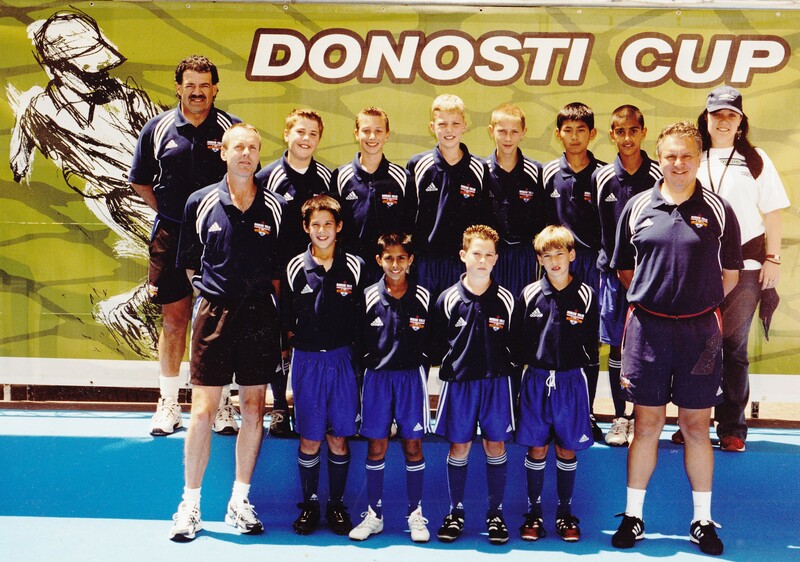 Burnaby’s Roman Tulis European Soccer School of Excellence’s U-12 boys were honored to be among the world famous soccer clubs who took to the field proudly carrying their countries flags in front of a crowd of more than 8.000 people during July 2002 Donosti Cup Tournament’s opening ceremonies held at Anoeta Stadium in San Sebastian, Spain. 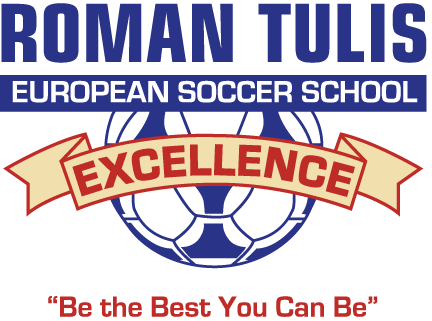 A team of local soccer players who train with the Roman Tulis European Soccer School of Excellence are off once again to Europe to fine-tune their soccer skills against some the best teams Europe has to offer. Tulis’ U-17 boys team departs today for Holland. Their 14 day whirlwind tour will include two prominent U-17 Invitational Tournaments in Waalwijk and Eidenhoven, and they will find themselves up against such teams as RKC Waalwijk, Holland; Vejle BK, Denmark; Vati, Russia; Admira Wacker & Karnten, Austria; Sleza, Poland; Norrkoping, Sweden; Kiel, Germany; Nantes, France. >From Holland: PSV, Roda JC, Fortuna Sittard, FC Den Bosch, AZ Alkmmar, NAC, De Graafschap, and from Belgium: KV Mechelen and RKC Genk. 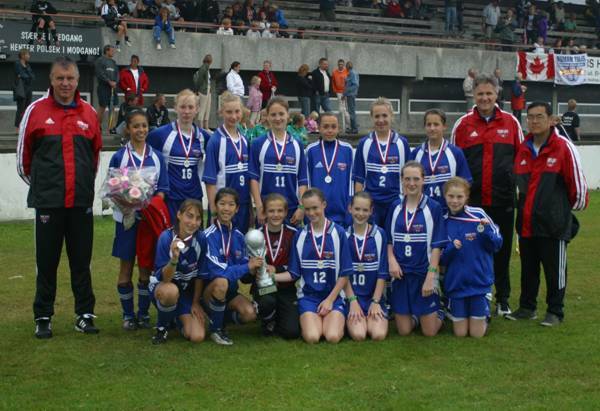 The Roman Tulis European Soccer School of Excellence's 13 year old girls return home today from the Gothia Cup 2001 in Sweden, one of the world's largest youth soccer tournaments, and from International Dana Cup in Denmark with two 1st place trophies in hand. The girls made European history as they were the first team to win both tournaments in the same year in the history of these tournaments. 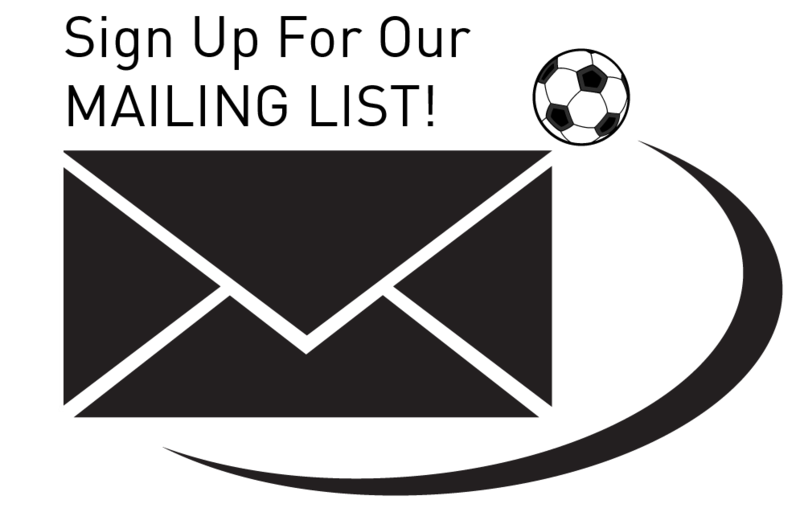 Hot on the heals of the U-12 boys who have just returned home from a very successful tournament, the Donosti Cup Tournament, in San Sebastian Spain, the girls left last week to compete in both the Dana Cup tournament in Denmark and also the Gothia Cup Tournament in Sweden. 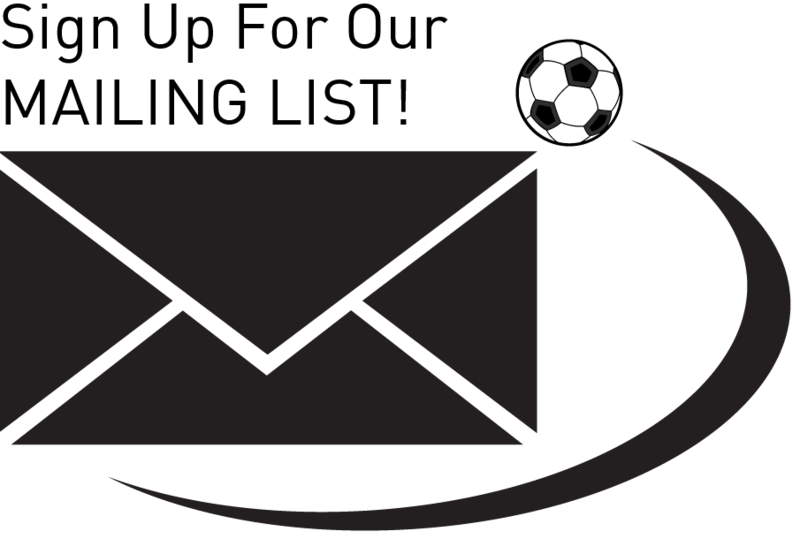 The Dana Cup Soccer Tournament is Denmark’s largest and the world’s most international soccer tournament for young teams. This year’s tournament, July 9-14th, 2001 was the tournaments 20th year and had 25 countries participating.